NORDO News - Aviation Unedited: The Wood, Fabric, & Tailwheels Fly-In – How Can You Help? The Wood, Fabric, & Tailwheels Fly-In – How Can You Help? 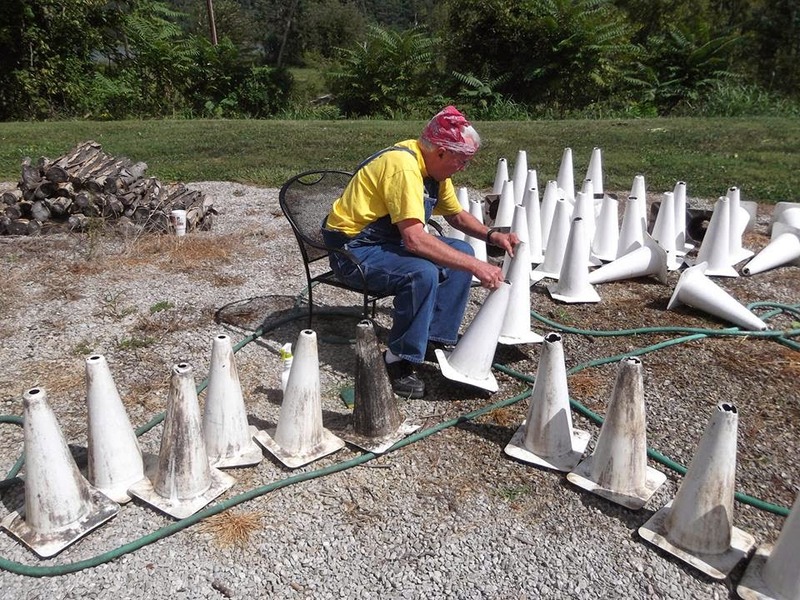 Ginger's dad scrubbing the runway cones for a previous event. Small things like this make a big difference. If you are willing to volunteer during the fly-in or help in the weeks leading up to it, please send us an email by clicking here. Put FLY-IN VOLUNTEER in the subject line. This is important for getting the ball rolling on the event. Sometime in the last half of July we will be holding a meeting for those willing to volunteer during the fly-in or help us get the field up to speed in the weeks leading up to it. It will be held at Lee Bottom if the weather is good. If not, we’ll hold it at Madison Airport. The date will be sent to those who email. Thanks for you help at previous events and for anything you can do to assist us this year.